All Buffalo Sports Blog | The home for all things Buffalo Sports! The home for all things Buffalo Sports! The Bills announced on their website that Ryan Fitzpatrick will not see any action in tonight’s contest with the Detroit Lions. Brian Brohm will play at least two full quarters after Trent Edwards heads to the bench. This might be Brohm’s last audition for the backup job as he has looked far superior to Fitzpatrick in the preseason. Its looking more and more like Fitzpatrick will be on the chopping block Saturday when the Bills must cut 22 players to get down to the final roster of 53 players. Levi Brown has much more upside given that he is an unproven rookie and its unlikely that the Bills will keep 4 quarterbacks on the final roster. Its going to be a tall order for the Bisons to make the International League playoffs this season as they are 4 games back from the Louisville Bats for the 4th and final Governor’s Cup playoff spot with only 7 games remaining in the 2010 season. 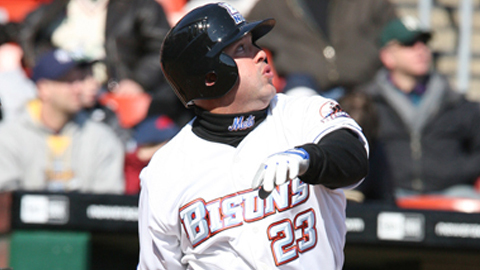 The Bisons dropped the contest with the Syracuse Chiefs last night, after being on the wrong side of a reversal call on Jesus Feliciano’s attempt to advance to third base in the 5th inning. Feliciano was initially ruled safe but after a meeting of the umpires, the call was reversed. The Bisons had a 5-4 lead at the point of the game but then lost their momentum after the Chiefs added 2 runs in the 6th and were unable to respond. UPDATE: The Bisons are leading the first-place Scranton/Wilkes-Barr Yankees 4-3 in the bottom of the 6th inning in the first game of tonight’s double-header as of 7:35pm. When the Bills take on the Detroit Lions tomorrow night, it will feel like a huge game for those players on the Bills’ roster who are in danger of being cut. So when the starters head for the bench at the end of the first quarter, expect to see big time effort from players like Keith Ellison, Chad Simpson, James Hardy, Naaman Roosevelt Derek Schouman, Cary Harris and John McCargo, among several others. The Bills will need to trim the roster from the current level of 75 players to 53 by Saturday and tomorrow’s final preseason game will be the last chance for all players on the bubble to prove that they belong on the final roster. We will have to wait until Saturday to see how deep the Bills coaching staff will go at positions like WR and QB, but there were undoubtedly be some familiar names on the cut list. Bills fans can take interest in this final audition to decide for themselves who should make the cut or be sent packing. 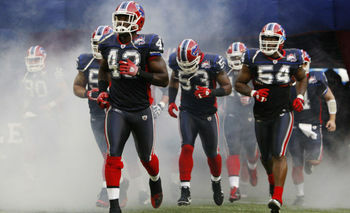 Bills reportedly expressed interest in Matt Leinart…don’t we already have 4 below average QBs? The Bills’ supposed interest in Leinart was made public via ESPN’s Adam Schefter’s twitter account. The Raiders and Giants are reportedly also interested in the former USC star and the current Arizona Cardinals starting QB. The Bills denied the reports on their website today. Why the Bills would express interest in another quarterback who has struggled mightily since entering the NFL is hard to fathom, so I’m hoping the Schefter report is erroneous. It wouldn’t be the first time. Very few people expect the Bills to be a winning team this year, but many were hoping to see some signs of life. Unfortunately, there were little to be found in a 42-17 loss to the Washington Redskins Friday night. 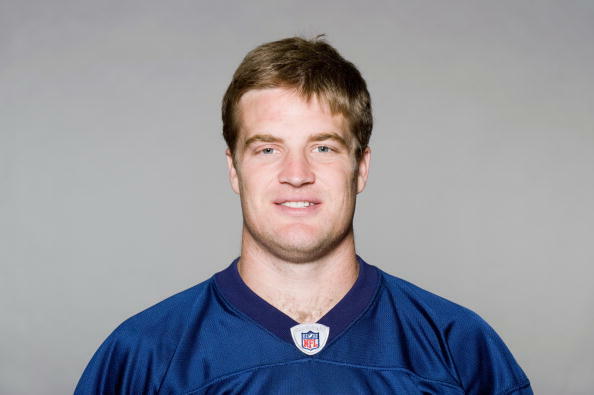 Trent Edwards had one good series and then reverted back into his comfort zone, where he has earned the moniker “Captain Checkdown.” In the opening four series, Edwards completed only 6 of 12 passed for a measly 58 yards and threw an inexcusable interception when he telegraphed a lob pass to Lee Evans. Ryan Fitzpatrick did not fare much better, looking wildly inaccurate while completing 9 of 14 passes, but he did manage to complete a touchdown pass to David Nelson. Brian Brohm saw no action and seems to the Bills only hope at the QB position, even if its a long-shot. Brohm is slated to be the No. 2 QB for Thursday’s “home” contest again the Colts at the Rogers Centre in Toronto, so Bills fans will no doubt be very interested to see how he looks. One of the Bills’ stronger areas of the roster, the running back corps, was decimated by injury, with Fred Jackson expected to miss 4 to 6 weeks with a broken hand and Marshawn Lynch expected to miss at least the remainder of the preseason with an ankle injury. CJ Spiller looked quick and effective, albeit in very limited action, but will be put to the test in the coming weeks, as he is now the No. 1 tailback. The Bills starting defensive line generated good pass pressure and rookie Alex Carrington put in a strong performance, but a couple of crucial penalties kept two ‘Skins drives alive and resulted in touchdowns. One of those penalties was courtesy of Aaron Maybin, when he chose to do a superman dive at McNabb after he had released the ball. Maybin looked very overmatched against Washington’s starting O-line and is looking more and more like a 1st round draft bust. The Bills’ much hyped defensive back sqaud got picked apart by McNabb and Grossman, showing that they might be overrated and that there is still major room for improvement. Overall, even though its only one preseason game, the Bills put in an extremely weak performance, with major struggles at the QB position and multiple mental errors resulting in penalties and turnovers. Bills fans can only hope that Gailey & Co. can get the troops to work out the kinks before the Bills regular season home opener on Sept. 12th against Miami. Otherwise, its going to be a very long season. The Bills finally came around to signing C.J. Spiller today, agreeing to a 5 year deal with the 9th overall pick out of Clemson. The deal includes $20.8 million in guaranteed money, with the remainder based on meeting certain performance incentives. By signing today, Spiller will be able to partake in 6 practices before the Bills’ first preseason game at Washington on Aug. 13th. The 5-foot-11, 196-pound running back was a star in college, racking up 3,547 yards and 32 touchdowns in four years at Clemson. He caught 123 passes for 1,420 yards and 11 touchdowns. He also was the top return man available in the April draft. Spiller had 74 kickoff returns in college for an average of 27.7 yards a return and seven touchdowns. He averaged 10.7 yards on punt returns for one touchdown.